The Idaho Public Charter School Commission has approved every charter petition that it has voted on in the past two years. That’s a 100 percent approval rate. The national average is 35 percent. That statistic, presented by representatives from the National Association of Charter School Authorizers at a Thursday commission meeting, is one reason the group thinks Idaho should buckle down a bit on charters. “It’s much easier to not approve them up front than to try and work with them after they’ve already opened,” Adam Aberman, a national reviewer, told the board. The national group recently evaluated the inner workings of Idaho’s commission, a government-appointed group that oversees the majority of state charters. The review found Idaho’s commission has a number of strong practices — but also recommends the commission buckle down on enforcing charter standards for renewal, and “rigorously” vet new proposals. The commission “does not consistently hold schools accountable to meeting expectations,” the review says. Commission chairman Alan Reed told Idaho Education News that he liked some of the procedural suggestions the national group had, and said commission staff members are already working to implement them. But he doesn’t think Idaho needs to be beholden to a national approval rate. “I think we have to look at more of our own situations and make our own best judgment and not worry about meeting some national quotas,” Reed said. Idaho commissioners proposed various reasons why the Idaho charter approval rate is high. Some petitioners have dropped out during the approval process, commissioners said. That means their petition never went up for a vote. Petitioners also get a round of edits and a chance to improve their proposal before commissioners vote. And charters the commission are unsure about can be approved conditionally, with the understanding they’ll meet some requirements. (As was the case Thursday). Aberman pointed out during the meeting that some approvals have not gone according to plan. Commissioners approved at least one school — against the recommendation of staff — which has racked up compliance violations and community complaints, he said. Charter renewals are also too lenient, the review said. In the two years that the commission has been renewing charters, reviewers found that all 25 charters up for renewal got approved, even though 14 schools did not meet the commission’s academic standards. Two schools had math proficiency rates more than 30 points below the state average. “Charter renewals should not be offered to schools repeatedly falling far below academic performance expectations,” reviewers wrote. Commission director Tamara Baysinger said it would have been “inappropriate and unfair” to use academic data to not renew some schools the national group considered, because the data was faulty. 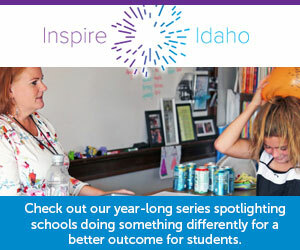 Changes in Idaho’s accountability system “crippled” the charter commission’s framework for a time, Baysinger said, and the state also implemented changes in ISAT testing. As a result, some schools came up for review without meaningful data to use. National reviewers also recommended the commission use outside evaluators to help look at new proposals, “clarify and consistently enforce financial accountability policies,” and create an “explicit policy” for revoking a school’s charter. The commission could discuss potential changes based on the report at upcoming meetings, Baysinger said. Reviewed updates at Bingham Academy and Blackfoot Charter Community Learning Center, where commissioners have been investigating school finances. A forensic audit at the schools is scheduled to start in the coming weeks, Baysinger said. Reviewed the commission’s interventions at The Village Charter School in Boise, an institution that has long struggled with financial issues. At the meeting, commission finance manager Jenn Thompson said the Village school board has worked out a payment schedule that should make bond payments easier for the school. Board members are combing through invoices submitted by former school contractor Veritas Charter School Services Llc., whose “incompetent” financial management contributed to the school’s financial crisis, a review found — and “cleaning up that financial mess themselves,” Thompson said. Conditionally approved a new charter school in McCall. The McCall Community School, set to open in the fall of 2020, would bring a place-based, mastery learning K-8 grade school to the McCall area. The school must be able to demonstrate it has enough students and investment to be financially stable for three years before it can open, the commission decided.